The veterinarians and staff at the Community Animal Hospital are pleased to provide you with an online newsletter. This fun and fact-filled newsletter is updated on a regular basis. Pets and their people love being outside in the summertime - and so do mosquitoes. Because mosquitoes are the most common carriers of heartworm disease, keeping pets up to date on preventive heartworm treatments during mosquito season is especially important. Heartworms are exactly that—large worms that live in the hearts of cats and dogs. Known as Dirofilaria Immitis, heartworms are long, spaghetti-like worms that range in size from 6 to 10 inches. Heartworms are almost always transmitted by mosquitoes. 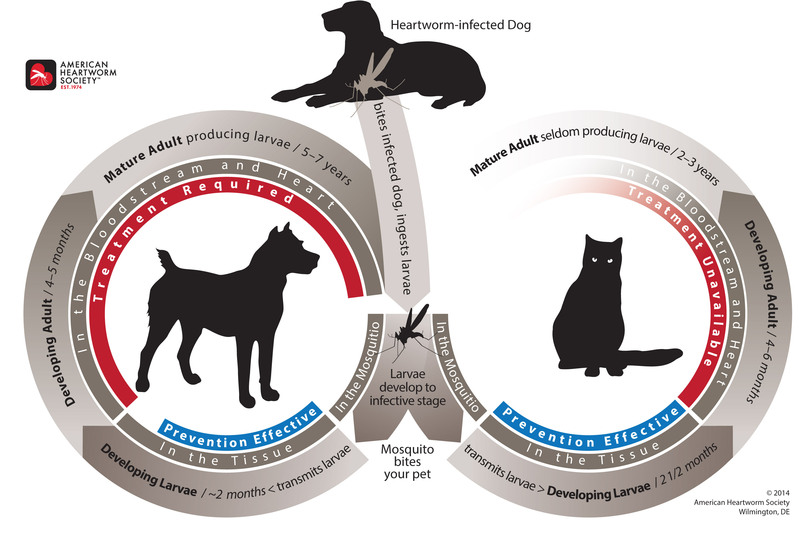 A mosquito bites an infected dog or cat; that mosquito picks up microfilariae, a microscopic version of the heartworm. When that mosquito bites your dog or cat, the heartworm microfilariae are transmitted to him / her. Within 70 to 90 days, the microfilariae make it to your pet's heart and, once mature, begin reproducing. The cycle then begins again. Signs of heartworm disease in pets vary based on the age and species of the pet and the number of worms present. Because the worms are usually located on the right side of the heart and lung, coughing and shortness of breath are common signs in both dogs and cats. Dogs that have just acquired the disease may have no signs, while dogs with a moderate occurrence of the disease may cough and show an inability to exercise. In extreme cases, dogs may experience fainting, weight loss, fever, abdominal swelling and death. In cats, the symptoms of heartworm disease are similar to those of feline asthma, including coughing and shortness of breath. 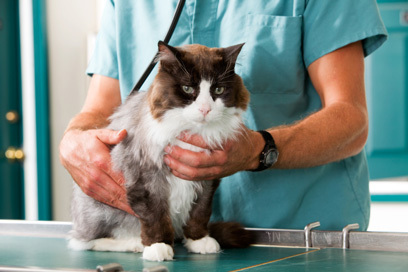 Some cats may exhibit no signs of the disease, while others may suddenly die. 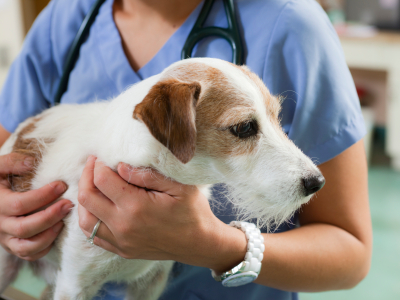 When it comes to preventing heartworm disease, pet owners have a number of options. Before beginning preventive medication, pet owners should have their pets tested for the presence of heartworms. If heartworms are present, a treatment plan should be discussed with your veterinarian. Most heartworm prevention is done by administering your pet a once-a-month heartworm preventive medication. Many of these monthly products are administered as a chew-able treat. Some are combined with other preventive medications. Your veterinarian will recommend the product that is best suited for your pet. If you would like to have your pet tested for heartworm or you would like additional information about the disease, please contact your veterinary hospital. 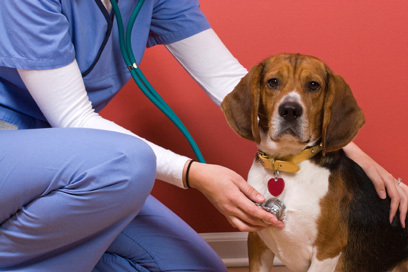 Most people don’t realize how closely human medicine is linked to veterinary medicine. Lifesaving medical advances, in areas from vaccine development to heart surgery, could not have been made without the use of research animals. People may also be unaware of the public services that involve veterinarians. Government agencies from the FDA to state health departments rely on veterinarians to track rabies, foodborne illnesses and diseases transmitted from animals to people. For more information about World Veterinary Day, check out the World Veterinary Association’s website. The skin is the largest organ of the body. It's major function is to protect the rest of the body from the external environment. With it's sweat glands and rich blood supply, it is also responsible for regulating the body's temperature. The exterior portion of the skin is called keratin. In animals, this protective waterproof layer is thickest on the paw pads. Under the keratin layer are the epidermal cells. These cells are constantly dividing, as new cells are replacing damaged older cells. The keratin layer and the epithelial cells are the body's first line of defense against invading microorganisms and hazardous environmental substances. These layers are also responsible for keeping moisture inside the body, preventing the body from dehydrating. Like humans, animals have allergies. Some allergies are seasonal while others occur year round. 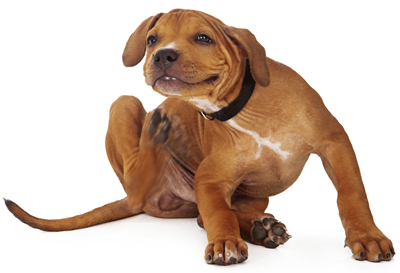 In the northern parts of the U.S., flea allergies are commonly seen in the summer and fall. In the southern states, flea allergies often occur throughout the year. Food allergies are not seasonal. They can occur anytime during the year. The most common types of allergies in pets (particularly dogs) include: contact allergies, flea allergies, atopy and food allergies. Asthma and hay fever are common symptoms of allergies in humans. Animals rarely develop these symptoms. Scratching is the most common symptom of allergies in pets. Some animals scratch so much that they mutilate themselves. It is not unusual to see an allergic dog with large skin wounds and areas devoid of fur (often called "hot spots"). Once the skin is injured, the animal is susceptible to a serious bacterial infection. There are many ways to treat allergies in pets. Food allergies can be treated with hypoallergenic diets. Certain animals respond favorably to desensitization. Unfortunately, in most cases, allergies are extremely difficult to treat and require medication. This medication should only be dispensed by a veterinarian. • Wellness exams are not only about vaccines, but include a full examination of mouth, ears, eyes, skin, respiratory system, heart, lymph nodes, abdomen, joints and muscles, along with an evaluation of organ function, changes to your pet's weight, habits, activity level, and blood work—as well as a chance for us to answer any questions you might have. • Routine exams help us develop a baseline for your pet, making it easier to assess any changes that take place from one visit to the next. Declines in health may not be as obvious to you because you see your pet every day, but with regularly updated records, we can recognize differences and take steps if needed. • Early signs of illness can be detected before they become serious—signs that can only be identified by a veterinarian during a comprehensive exam. • Dogs and cats can hide illnesses and pain, and in the absence of other obvious symptoms, could be struggling without your knowledge. • Senior pets have evolving health issues as they age, and routine wellness exams will give you an opportunity to manage your pets aging and understand any lifestyle changes that may be needed. • Dental issues in your dog or cat can affect his or her body more than you may imagine. Advanced stages of dental decay can cause heart, liver and kidney disease due to the bacteria entering the blood stream. • Even indoor cats need preventive care. Problems ranging from ear infections to cancer can still occur and need early detection only regular examinations can provide. An indoor cat can still come in contact with a rabid bat or a mosquito carrying heartworm. • There are physical and emotional costs associated with illness, not just for your pet, but for you and your family. Illness can be time-consuming, messy, worrisome and stressful—all of which impact your household and the way your pet interacts with family members. A stressful car ride and wellness exam once or twice a year pales in comparison. Veterinarians take many things into consideration before recommending humane euthanasia for a sick, injured or elderly pet. When it comes to setting your own mind at ease, there are ways to rate or measure your pet's overall well-being. The Veterinary Medical Center at Ohio State University published a survey designed to illustrate your pet's quality of life which was adapted from several other common methods. The survey asks you, the pet owner, to rate 25 different prompts on a scale from one to five. A score of one indicates strong agreement or a condition that is present all the time or is severe; a score of five indicates strong disagreement or a condition that is never present and nonexistent. Thus, higher scores indicate a better quality of life. 25. How is my pet's overall health compared to the initial diagnosis/illness? Once you have rated each prompt, tally up the number of responses for each number and then place an 'X' on a "Quality of Life line" labeled "Good" at one end and "Poor" at the other according to your most frequent response. 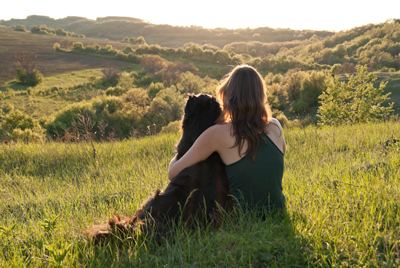 The purpose of this exercise is to help you better visualize your pet's general well-being. Of course, not all pets are the same and what is rated poorly for one may not be so bad for another. For pets currently undergoing treatment, some poor ratings may be liked to symptoms and side effects which will subside. It is always important to discuss your concerns and your pet's overall demeanor with your veterinarian, especially when considering humane euthanasia.